Note: Although the Piedmont miscut and Burch overprints on card backs can match up perfectly, we do not believe they were printed side by side due to misalignment of red color overprint and cutting pattern on the border. We believe they are from the same sheet but in different rows. 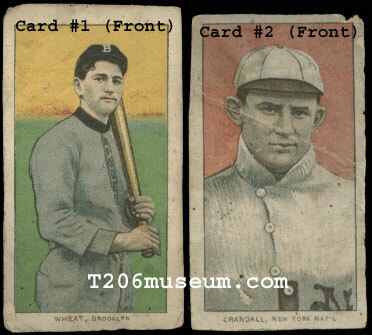 Single T206 test strip like this are extremely rare and there are less than a dozen known to exist. 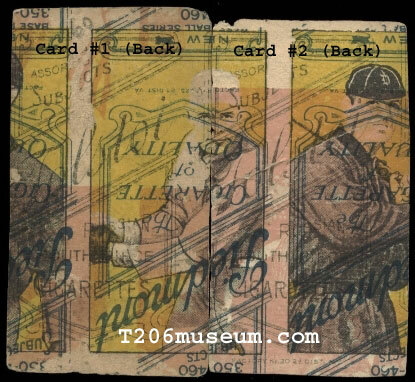 Multiple T206s that can put together side by side and provide information of original T206 printing plate are definitely one-of-a-kind collectible. A recent auction of a T206 Multi-Brands Overprint back sold for $9750. 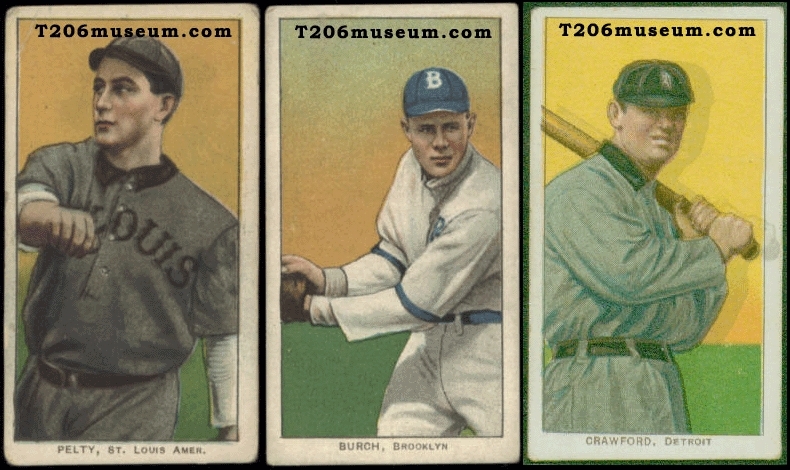 There is also an article related to these T206 test strips T206 printing correlation revealed from T206 test strips and overprints. Don't miss this once in a lifetime opportunity owning a piece of T206 printing history. The price below is for Card #1 & #2. The regular Pelty, Burch and Crawford are for reference only and not included in the sale. Email f-a-q@t206museum.com if you are interested.